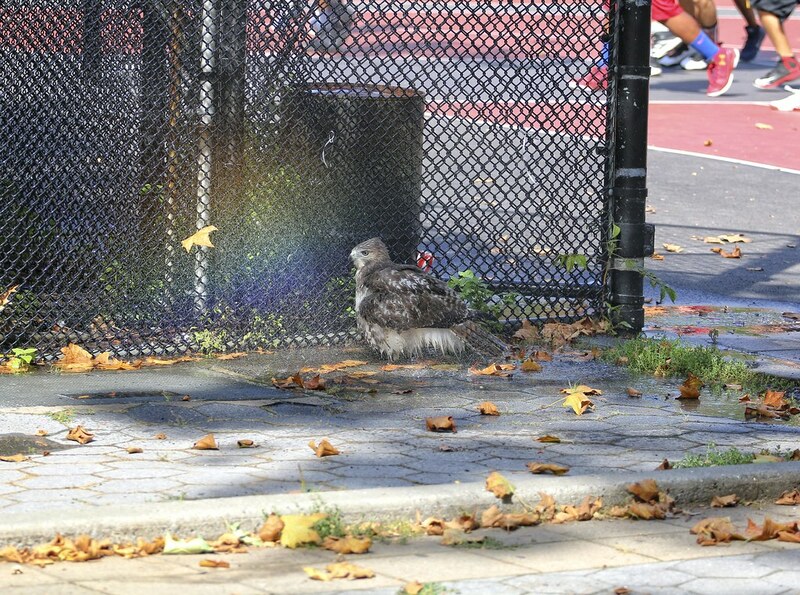 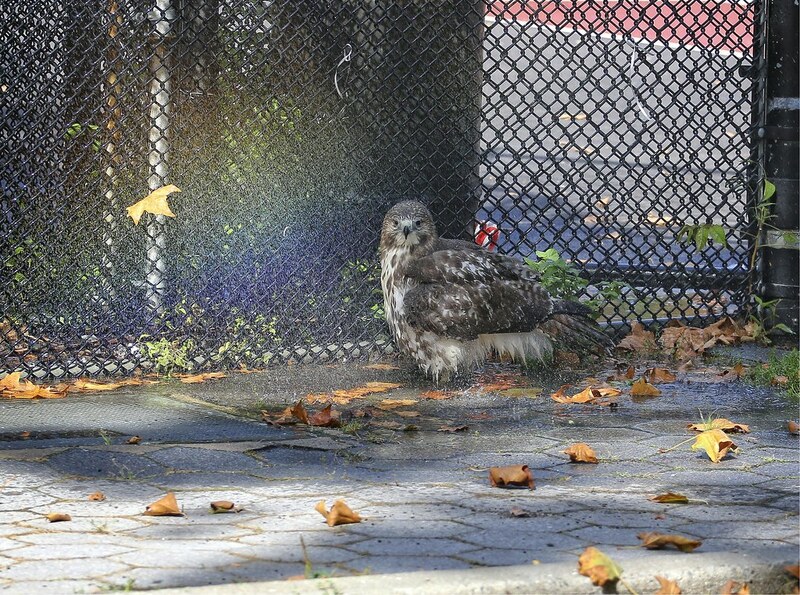 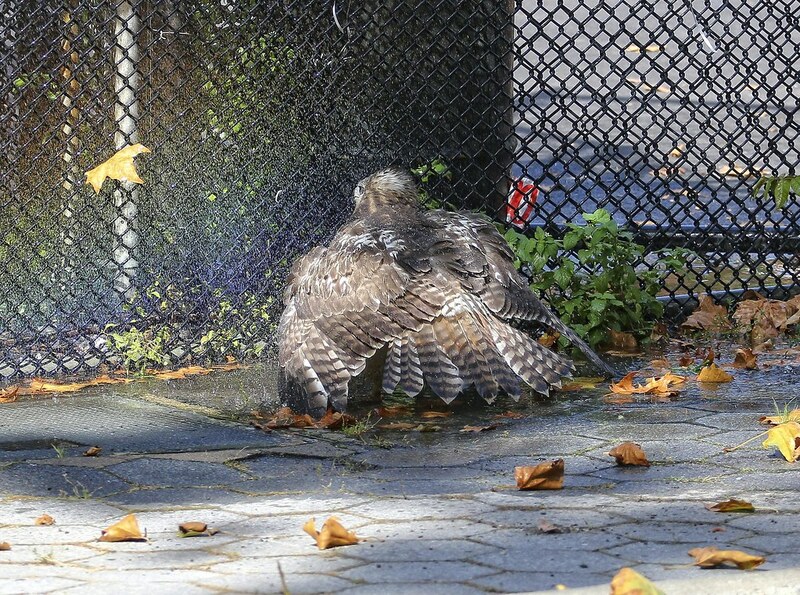 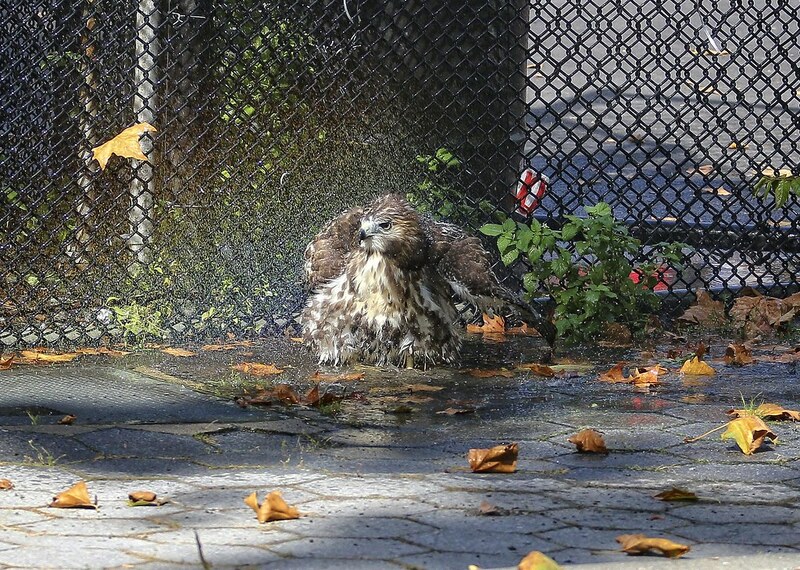 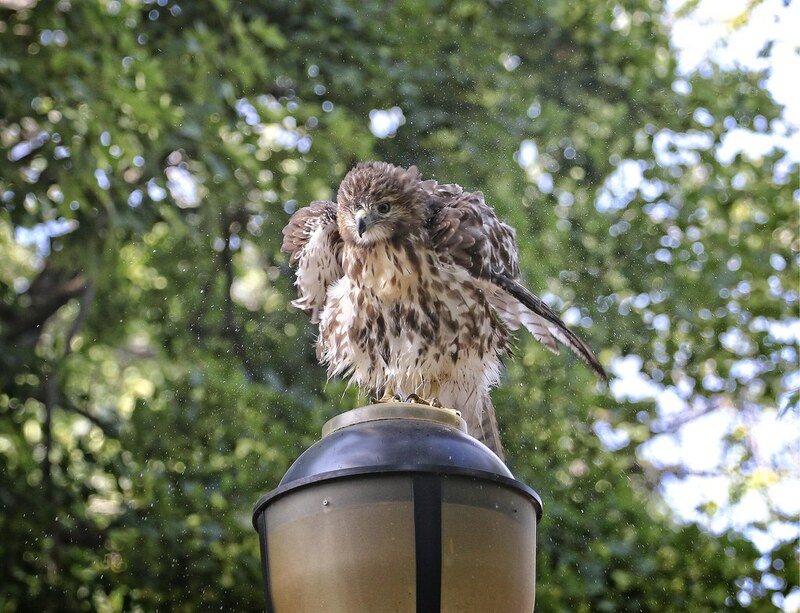 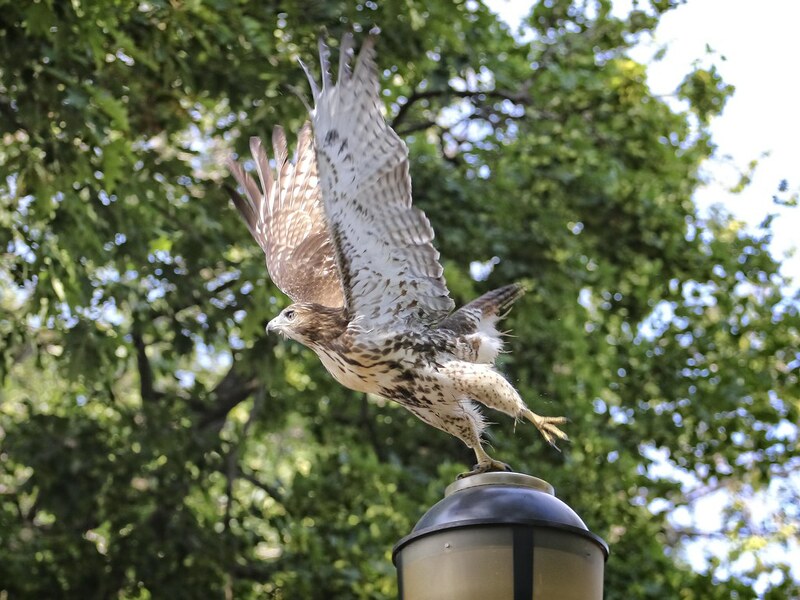 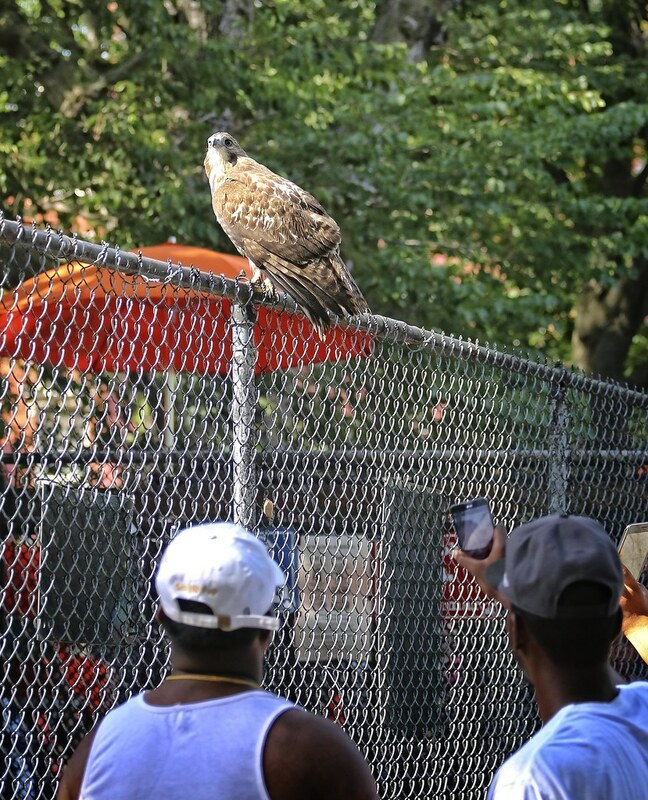 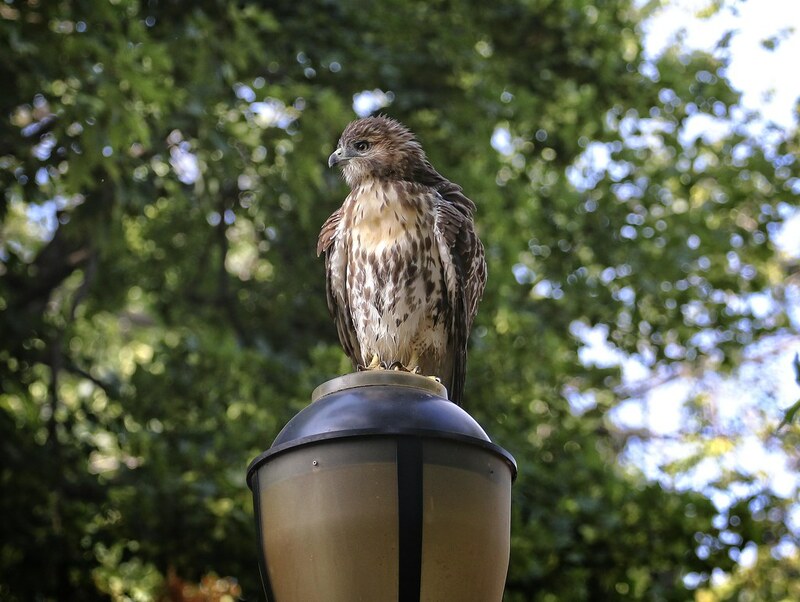 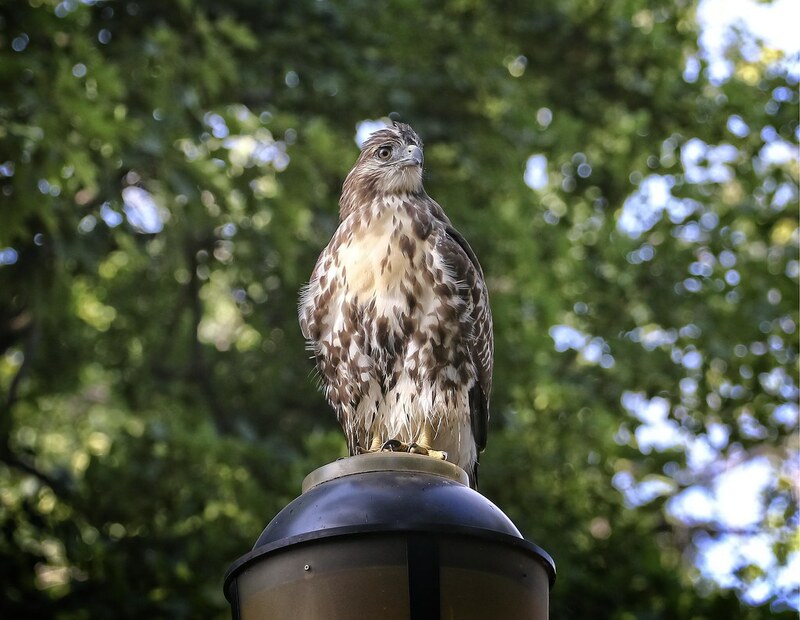 Another sweltering summer afternoon in Tompkins Square drove this fledgling hawk to seek relief in the waterfall that was created by run-off from the swimming pool. 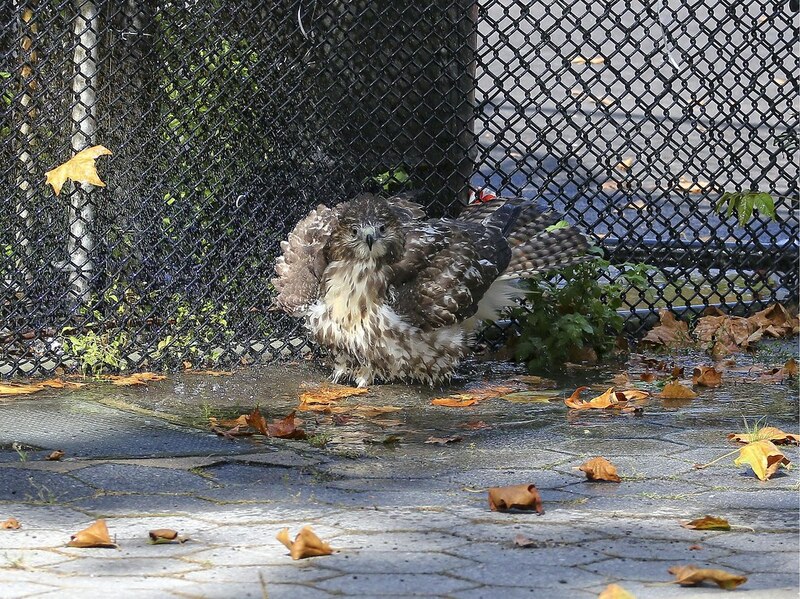 After her shower, the hawk briefly posed for admirers atop the fence next to the swimming pool. 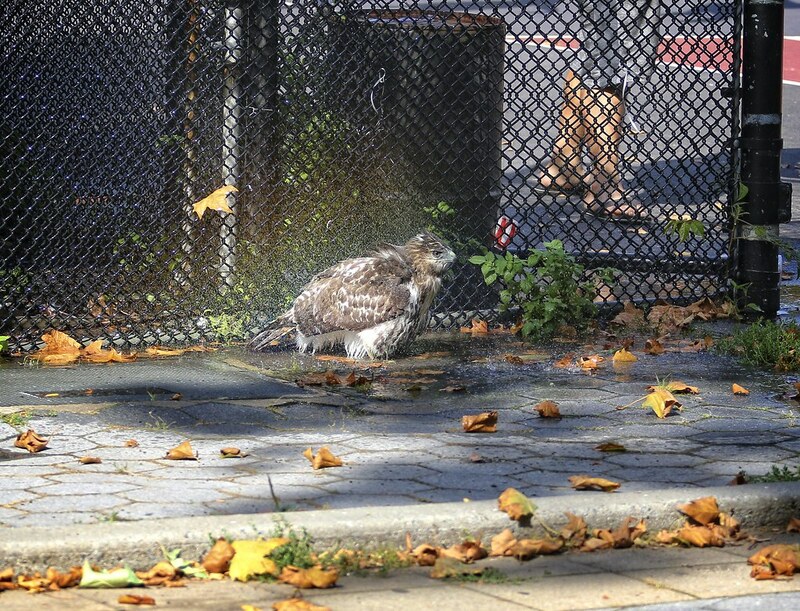 She then moved to a light pole near the entrance to the basketball courts to dry off. 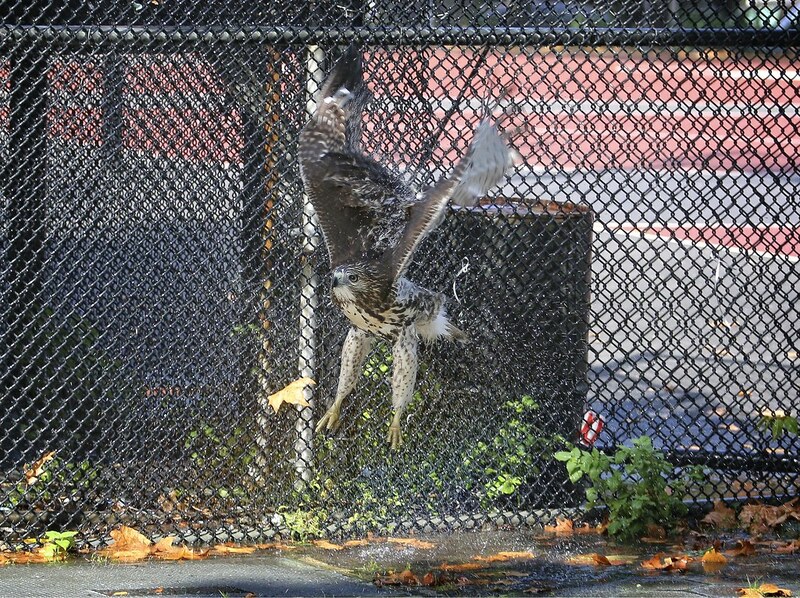 A few shakes, and she was off to return to the shady trees.